Apple is once again on the acquisition train, if you will. The company confirmed to former Wall Street Journal reporter Jessica Lessin that it has bought Embark, a Silicon Valley-based maker of public transit apps. If all this sounds familiar, it’s because exactly a month ago, news broke that Apple had acquired HopStop, another maker of transit-related apps. Unlike HopStop, which sold but a single app that incorporated transit directions for many cities, Embark sells several individual programs for various transit systems, including BART in San Francisco, the MBTA in Boston, the New York City subway, and more. As of this writing, Embark’s apps remain in the App Store—however, the company’s Android offerings, which included iBart and NYC Subway, are no longer available on the Google Play store. A similar fate befell the Windows Phone version of HopStop upon that company’s acquisition. Combined with the HopStop purchase, it seems a lock that Apple will bring its own transit directions to a future version of iOS—at present, the company’s Maps app still routes transit information through third-party apps (of which HopStop and Embark were but two). And with Apple’s earlier purchase of business-data-location company Locationary, it’s clear that mapping is of intense interest to the company. That’s little surprise, given the public reception of iOS 6’s Maps, unveiled last year, which even prompted Apple CEO Tim Cook to apologize. The only question is when such an update might appear. To date, there has been no mention of substantial Maps improvements to the upcoming iOS 7, which would likely accompany new iPhone hardware expected to be launched next month. That would peg such enhancements to be introduced alongside Apple’s next major iOS update, presumably announced at WWDC 2014. Of course, Apple has already been on quite the run this year, as far as acquisitions go, and there’s no telling if the company has already set its sights on a new target. 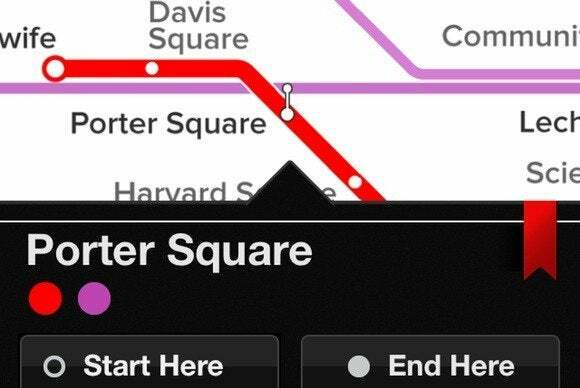 Though, to be fair, it may soon run out of quality public-transportation apps to buy.